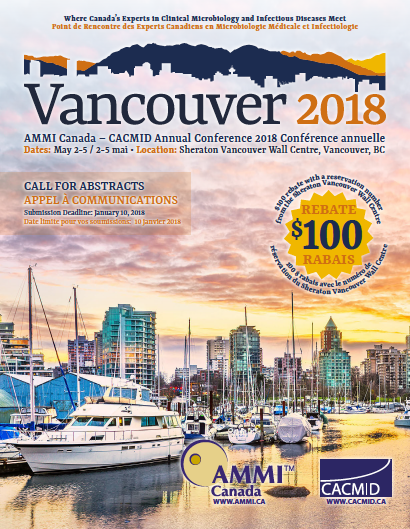 Submit your Clinical Vignette for the 2018 AMMI Canada – CACMID Annual Conference! The deadline to submit a Clinical Vignette is Sunday, December 3, 2017, so don't delay! We are looking for challenging and headscratching cases, with a clear teaching point or two, for presentation during this interactive session. The audience along with the discussants will work through the case, trying to solve it. An audience response system will be used. Please submit your most interesting clinical and laboratory cases for consideration by sending a brief outline of the case (including clinical presentation, investigations, diagnosis and treatment) and a short discussion on the instructive value of the case (about 200 words). Please clearly identify the take-home message that you would like your case to illustrate. Please include two or three multiple-choice questions that would be suitable for the “clicker” audience response system. We like a variety of cases; they can be lengthy and complicated or quick and short – you decide what you think might be of interest and of educational value for the audience. Our audience consists of clinicians and laboratorians, as such the ideal cases provide a basis for discussion of clinical and laboratory diagnosis, clinical management, infection control and other relevant aspects. If your case is selected, we will work with you to prepare your slides for presentation at the meeting.Your final slide presentation of the case will include the clinical presentation, investigations and management, as well as the interactive audience questions. Selected presenters will also have the opportunity for their clinical vignettes to be published in the Journal of the Association of Medical Microbiology and Infectious Disease Canada (JAMMI) following the conference. Cases must be submitted by email to both Dr. Sarah Forgie (sarah.forgie@albertahealthservices.ca) and Dr. Anupma Wadhwa (anupma.wadhwa@sickkids.ca). You will be notified on or around December 18, 2017 whether your case has been selected. You can expect to be involved in presenting and discussing the case during the Clinical Vignettes session, scheduled on Saturday, May 5, 2018 from 16:15-17:45 at the Sheraton Vancouver Wall Centre. See page 8 of the Call for Abstracts (PDF) brochure for more information. 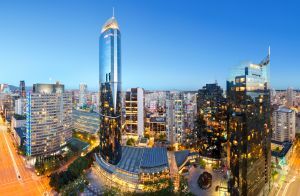 By reserving a room at the Sheraton Vancouver Wall Centre, AMMI Canada and CACMID are able to keep the conference costs low; savings that we pass on to you as a member.